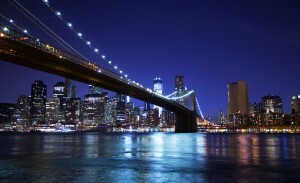 Manhattan is the one of the most renowned neighborhoods in New York City. It has a vast history and it comprises the most notable and famous attractions. Manhattan is divided into several districts, one of them being Downtown Manhattan. This area is situated below the 16th Street and features numerous interesting sites including the Statue of Liberty, the Stock Exchange of New York City and the Union Square Park. Downtown Manhattan offers numerous activities for both adults and children. It boasts of shops, cafes and restaurants, and it’s a great place to spend a lovely afternoon with friends and family. For example, if you have nothing to do on a sunny day, you can simply go to the Battery Park. This is one of the largest parks in New York City, covering 32 acres of land. It is located in the southern part of Manhattan and it features various walkways, plazas, fields and gardens. Moreover, it offers impressive and stunning views over the Manhattan skyscrapers and the Statue of Liberty. So, it is an attraction you won’t want to miss. The Brooklyn Bridge is another symbol for New York City. The structure was built in 1883 and it represented a record breaker. It was the longest suspension bridge in the world. At the same time, it was the world’s first suspension bridge with steel cable. Not to mention that it was and still is one of the most beautiful and iconic bridges on the planet. Pedestrians can stroll along the bridge and enjoy the magnificent views it offers. This is a must see attraction whenever you happen to be in Manhattan. Close to the Brooklyn Bridge there’s the New York Harbor. From here, you can take a cruise to the Ellis Island, which was home to numerous immigrants who traveled to New York City. On the island you can see the Immigration Museum and find out more about America’s history. The cruises will also take you to the Liberty Island and the renowned Statue of Liberty. From the top of the statue you will be able to see an unparalleled view over the Big Apple. The cruises are offered by the Circle Line Downtown. You can choose between speed boat rides and scenic cruises. Also, during the holidays, they offer various interesting events. Downtown Manhattan also features the City Hall Park and the City Hall. They are both historical landmarks and great opportunities for relaxation and people-watching. Also, they offer immediate access to the Brooklyn Bridge. One of the most important and symbolic attractions in this district is the World Trade Center or the Ground Zero. This area attracts thousands of visitors who want to find out the history of 9/11 and who want to commemorate the victims of that day. There are many other things to see Downtown Manhattan. Some of the most notable are Bowling Green Park, New York Federal Reserve Bank, the Museum of Jewish Heritage, the Skyscraper Museum, the Trinity Church, St. Paul’s Chapel and the South Street Seaport. This entry was posted in Fun, Uncategorized. Bookmark the permalink.